Braunschweig - The 2013/14 Bundesliga season may only be a few games old, but if the current league table is anything to go by, a 'six-pointer' might be the best way to describe Eintracht Braunschweig's meeting with 1. FC Nürnberg on Sunday evening (kick-off 17:30 CET). The two teams currently occupy the Bundesliga's two automatic relegation places, having both failed to register a win in their opening four matches. To improve on that scenario, the visitors will be banking on their new midfield pairing, Japanese duo Makoto Hasebe and Hiroshi Kiyotake. The former looks set to make his debut for the visitors after signing a four-year contract with the club following his move from Bundesliga rivals VfL Wolfsburg. His understanding with his more attack-minded comptariot in the middle of the park is likely to prove crucial to der Club's hopes of coming away with the points. Although the Japanese internationals would have inevitably been in the spotlight, even greater responsibility will rest on their shoulders given the absences of key players. Timo Gebhardt misses the trip with a groin injury, while Javier Pinola is suspended following his red card against FC Augsburg on Matchday 4. Michael Wiesinger's side may only be two points ahead of Braunschweig in the table, but the Nürnberg head coach has warned his players not to underestimate the league's bottom club. "It will be a tricky game, but one we have to win" said the 40-year-old. "They have been a bit unfortunate in some of their games. We mustn't be fooled by their results so far." The same could be said for Wiesinger’s side. Nürnberg were beaten by a late Augsburg goal two weeks ago and even gave FC Bayern München a run for their money on Matchday 3, before conceding two late goals to Pep Guardiola’s team. Wiesinger wants his side to put in as much effort against Braunschweig as they did against Bayern. “We have to play with just as much passion in order to leave the pitch as winners." 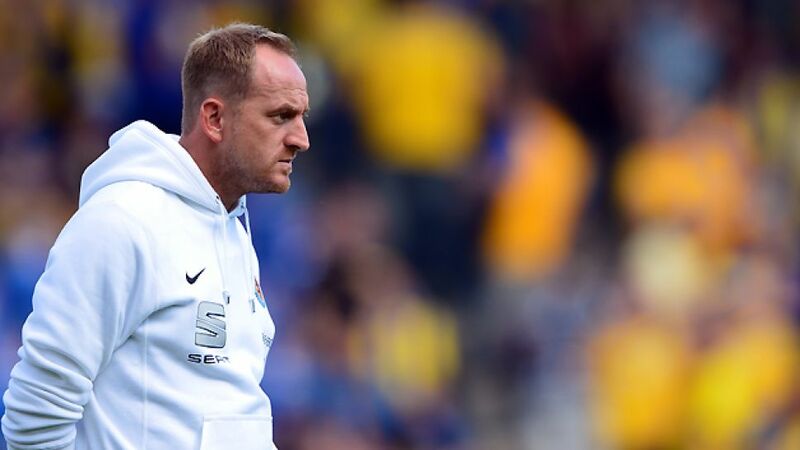 Despite their unenviable league position, Braunschweig coach Torsten Lieberknecht is trying to remain positive. His charges may have been convincingly beaten by Hamburger SV on Matchday 4 but, aside from that defeat, the Lions have not been outclassed in any of their top-flight games thus far. “We want to try and outwit Nürnberg and have prepared well for that,” said Lieberknecht. “We have analysed a lot of things over the past two weeks and I don’t believe our defeats are down to the system we employ, but rather due to individual errors," the coach added. "The lads will need to show some courage on Sunday and even take the odd risk with a pass. I firmly believe that courage, as well as good tactics, can earn us our first points."